Luxury self-catering holiday cottages with private hot tubs set in tranquil gardens and pasture. 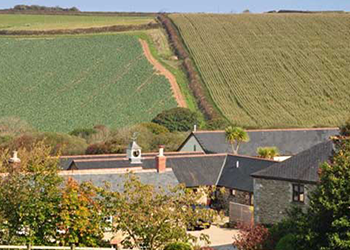 Goonwinnow has a superb selection of accommodation - two 4 bedroom and two 2 bedroom cottages. With space for up to 30 guests in four holiday cottages, Goonwinnow is not only ideal for families and couples, but also the perfect choice for extended families and larger groups of friends. To all stay together in one place for unforgettable special occasions and memorable holidays. At the end of a day of adventure and exploring, comfortable beds made up with crisp cotton linen combined with peace, quiet and dark skies mean you're sure to leave Goonwinnow relaxed, refreshed and re-connected. 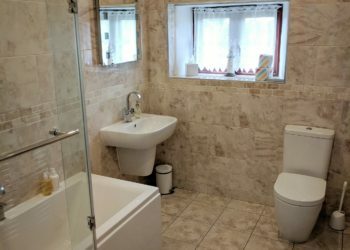 Located just one mile from the A30 in this beautiful, central part of Cornwall, you'll be close to the many beautiful beaches of the North Coast and Newquay. As well as being only a short drive to sleepy fishing coves, glorious moorland and many of Cornwall's varied venues and attractions. Each of the four self-catering cottages has been sympathetically converted to an extremely high standard from the original mill house and farm buildings. Character features such as exposed beams and vaulted ceilings blend seamlessly with modern facilities and convenience to create a relaxed and comfortable environment for your holiday. "Thanks so much for saving our holiday after a disastrous first week elsewhere!! Loved the cottage, Loved the peace and quiet, Loved the hot tub, Loved the games room, Loved the location - in fact we loved everything!!" "Lovely!! Mill House was spotless when we arrived. You have wonderful gardens which were a delight"
"Short but infinitely sweet! Beautiful swimming, walking and eating with kind and helpful hosts - Thanks for a lovely time"
"Absolutely fabulous!! Wouldn't hesitate to come back - we were so impressed!!" "A very relaxing and easy holiday. 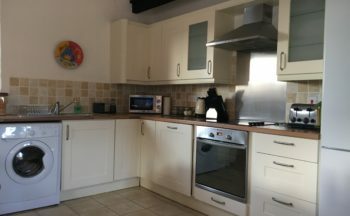 Thoroughly enjoyed ourselves, excellent accommodation in a great spot - thank you"
"Very nice cottage with excellent views of surrounding countryside - perfect place to relax"
"Speechless for once - Wonderful hosts - everything you could wish for!!" "Just spent a lovely week in the piggery at goonwinnow - beautiful setting so peaceful and really safe for our 8 and 5 year old active boys! Piggery was so well equipped with lovely bed linen and towels.